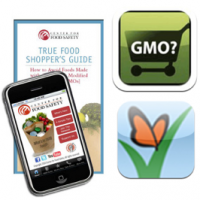 Keep yourself and your loved ones safe from GMOs while sending a monetary message to food retailers and producers that you will not accept GMOs in your foods. A practical guide to avoiding GMOs. You are invited to a conversation on food safety with Jeffery Smith, David Schubert, Joy Houston, Isabel Cruz, Nancy Casady, and Michelle Lerach. Free information on a topic you need to be up on! 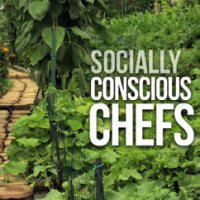 Passionate Chefs, Food Activists, Food Writers, and Organic Farmers in San Diego celebrate sustainable dinning, local farming, and the art of fine food. They all rally in support of Prop 37. Millions are being spent to try and squash the 92% of Americans who want labeling for genetically modified foods! 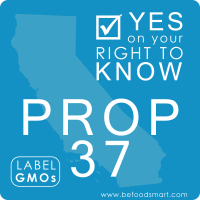 It all starts here in California with Proposition 37, an initiative that will require GMO foods to be labeled. 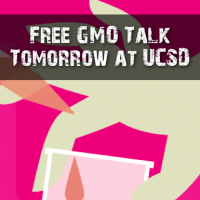 Whatever your feelings about GMOs – the California Right To Know Initiative is about information and choice! Here is some of the hype you will hear and the truth behind that hype. 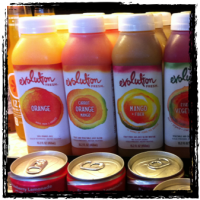 Starbucks bought the Evolution Fresh juice line and is distributing them not only to their franchise locations, but also to the same network of stores that receive their coffee products.